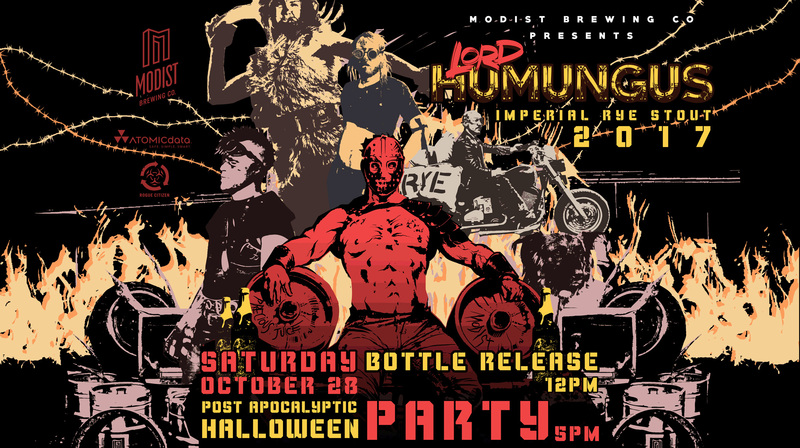 For his 2017 release, Lord Humungus has once again dipped into his precious reserves of RYE and forged a humungus and unique imperial beer. Borne from the blood, fire, and gasoline of the Wasteland, this year’s version is a one-of-a-kind Imperial Rye Stout that’s thicker than 40 weight motor oil and darker than a tire fire. Made from over 53% rye including Malted Rye, Chocolate Rye, and Caramel Rye – this beer is dominated by flavors of sweet and spicy rye, dark chocolate, and brown sugar. Very limited quantity available.